NEAREST TUBES: Angel, Farringdon, Barbican. During my professional career in London I never expected to cook Caribbean food for a living as my background is in mainstream classical food and fine dining. 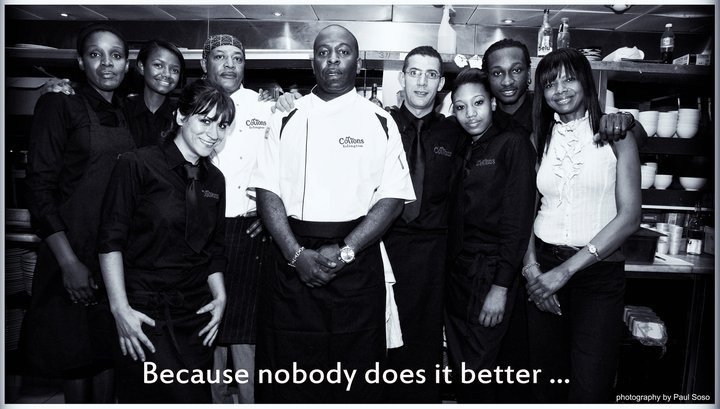 My world to Caribbean cuisine opened in 2001 when I was encouraged to enter Caribbean Masterchef, which, to my great surprise, I won. This has led to some fantastic opportunities which gave me the experience and confidence to open my own restaurant. I worked on the full re-launch of Cottons in Chalk Farm, catered for private functions as part of the "City Circle". 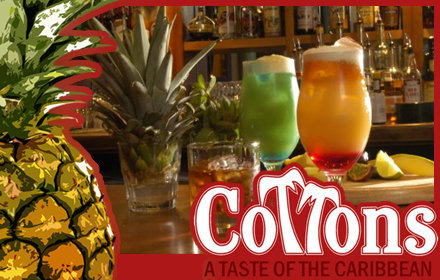 I was also involved in the launch of two Caribbean restaurants which are still thriving but to my great joy I was able to obtain Cotton's in Exmouth Market which has just been voted Best Bar in London by the London Weekly Awards on what the Urbanism Awards 2011 have credited The Great Street that is Exmouth Market.